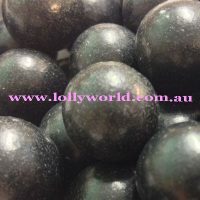 Aniseed Balls Black are hard boiled long lasting aniseed balls. Aniseed Balls Black are hard boiled long lasting aniseed balls. Buy a snack size or bulk size 3kg.